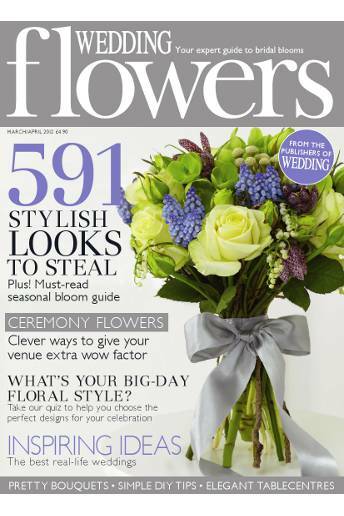 We are delighted to be featured in the March/April edition of 'Wedding Flowers' magazine. Nick designed a bridal bouquet and table centrepiece using Purple Power, Cherry Brandy and Colandro roses combined with Gloriosa lilies and viburnum berries. Check out his handiwork on pages 126 and 127. The March/April edition of 'Wedding Flowers' magazine is on sale now.